Looking to buy 1Cover Travel Insurance? Our guide covers its stand out points, pros, cons and limitations. On the outset, if you are going skiing or on a cruise, the standard 'Comprehensive' policy won't be enough - you will need to purchase additional cover on the policy. Our pricing review compares 1Cover Travel Insurance to other popular products offered by AA, AMI and Southern Cross. Travel Insurance protects you from having to pay huge medical treatment and air-evacuation bills. As mentioned above, In many countries, hospitals and clinics won't treat a patient without pre-approval from an insurer. Having insurance in such situations could make a difference between life and death. To limit the risk of a claim being denied, it is the responsibility of the person buying a policy to FULLY disclose all pre-existing medical conditions. This includes a condition that has been diagnosed, treated and/or investigated by medical practitioners. Travel insurers never check customers' medical records before a claim. Only when a claim is made do they check. And they check in incredible detail. Buying travel insurance should never be rushed - travellers with pre-existing conditions must tell the insurer, and check to make sure any claims that relate to that condition will be covered. 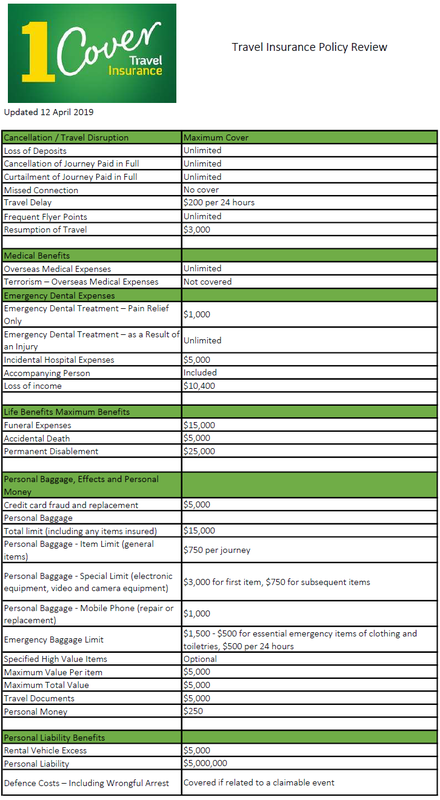 In the table below, we outline the benefits and limits of 1Ccver Travel Insurance's Comprehensive plan, and compare it to those offered by AA, AMI and Southern Cross. You can also download it as a PDF here. ​Cancellation before or during travel - Stuff reported a story where the costs of returning to New Zealand due to the death of a policyholder's mother was not covered, because there is no cover if the event was caused by a "pre-existing medical condition suffered by a Close Relative or any complications directly attributable to those conditions". If you have a sick relative that you already know about before you go on holiday, and need to return home because of that relative, it's unlikely you will be covered for the costs you incur for cancelling a trip or returning earlier. Lloyd's, one of the world's largest insurers, provides the cover on behalf of 1Cover Travel Insurance who merely sells the insurance under its own brand. 5. Does Lloyd's sell other travel insurance in New Zealand? Yes, similar cover is offered by 1Cover's sister companies, Zoom Travel Insurance, and Downunder Worldwide Travel Insurance. ​Emergency assistance is provided 24 hours/7 days a week by First Assistance who operate an international assistance network. Policyholders make a claim via the 1Cover Travel Insurance website, over the phone, or via email. Claims must be made within 30 days of the date you return to New Zealand. It's best to claim as soon as you can, even if you are overseas. Claims are assessed within 10 business days, and payments are made in New Zealand Dollars into a nominated bank account. 1Cover has a page with all the latest discount codes and offers. Similar cover is offered by a range of travel insurers, including AA, AMI and Southern Cross. 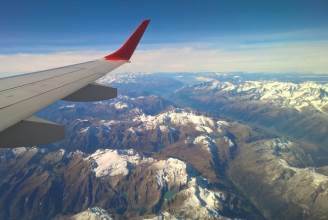 Many claims are rejected every year by travel insurers all over New Zealand. It can cause misery and frustration, but in many cases the reason is justified. If you are denied a claim and you feel the decision is wrong or not justified, you can take your complaint to the Financial Services Complaints Limited (FSCL). Travel insurance policies, in general, make up a large number of the complaints formally investigated by FSCL. 1Cover offered the best quotes in our testing of elderly travel with no pre-existing medical conditions (compared to AA, AMI and Southern Cross). For personal belongings, there is a generous $3,000 cover limit for computer/camera and $1,000 for phone/tablet, with each additional item limited to $750. There is no $0 excess option - this means you'll either pay $100 or $200 per claim. No online or loyalty discounts, and coupon codes are rarely made available. Similar cover at half the price? We compared the cover and policy costs to those in our full travel insurance comparison review. Many other insurers offer similar cover of core benefits (medical, personal liability, personal items, dental etc) at a discount to the quotes we obtained from 1Cover. We base this observation on a sample quotes for our two 35-year-old travellers visiting the Australia, USA, Bali or Europe. 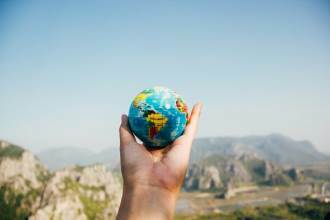 All travel insurers, including 1Cover, have a good reputation for paying claims, but they are under no obligation to pay you if you lied or withheld information when you applied. To best protect you from a nightmare later on, give your insurer a full description of any or all of your health problems. You may have to buy additional cover for pre-existing conditions, but this protects you should something happen while you're away. The covered pre-existing conditions include, for example, asthma, vertigo, cataracts, hypertension and hernias, among others. It's best to read over the table of pre-existing conditions to see where you stand. Advance purchase: If you buy the policy in advance before your trip, and then later, leading up to your departure, you have treatment for a medical condition that arises, you will need to notify 1Cover immediately to see if you will be covered for any related-medical expenses overseas. 1Cover, like most travel insurance policies, has a number of exclusions. For example, if you plan to go beyond the beaten path and hire a motorbike, you must have a motorbike licence. Skiing will require additional cover, as it's not included in the standard comprehensive policy. If you go on a cruise, you'll need additional cover as well. 1Cover Travel Insurance specifically excludes a number of activities, including hunting, sailing 10 miles off the coast, quad biking, mountaineering and rock climbing, hiking above 3,500 metres, professional sports, parachuting, hang gliding, diving without a licence, flying in a aircraft that's not an airline or charter, among others. 1Cover's website lists the details under 'General Exclusions'. "Intoxicated is determined by local laws and regulations. For example if you were on a scooter after drinking and your Blood Alcohol Concentration (BAC) was higher than the limit for that particular country, you would be classed as intoxicated". It's best to behave with caution, and be responsible. If you go out at night and lose your bag while intoxicated, 1Cover Travel Insurance won't cover you. You can include up to 25 individuals on one policy. Yes - dependent children under 19 years are covered at no additional charge. Does 1Cover Travel Insurance cover lost, stolen or damaged luggage and personal belongings? Yes - 1Cover Travel Insurance offers excesses in $200 (standard) and $100 - choosing a $100 excess means the overall policy cost increases slightly. A Comprehensive policy does not cover ski or cruise activities, so these need to be purchased separately (see below). 1Cover offers the option of purchasing additional cover for specific items, with a limit up to $5,000 per item, with a limit of $5,000 per claim. These items cannot be older than 12 months from the date you take out the insurance, and you will also have to provide receipts and/or valuations if making a claim. The cruise pack covers you if disaster strikes and the weather prevents activities, have an accident or get sick etc. 'Missed departure' is a restrictive benefit where a claim will only be paid if you are in an accident, there is a riot or strike, natural disaster or weather conditions. Being late because you got lost track of time is not covered. If you plan to claim, it is likely you will pay a 'double excess' if the loss is ski-related. For example, if you damage your skis and have a $100 excess, you will need to pay $200 when you make a claim. At all times, you must stick to on-piste on a regular ski field, and the activity is non-competitive. No - this is a standard exclusion and there are no exceptions. The same applies to any airline, transport provider, travel agent, or wholesaler. 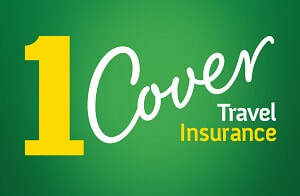 No - 1Cover only sells travel insurance policies to New Zealand citizens, residents and permanent visa holders. Scooter and Moped: You need to hold a New Zealand Motorbike Licence or Drivers Licence (or if you're a passenger, the driver needs to have a valid licence valid for the country you are travelling in) AND the Scooter or Moped has to have an engine size of 'less than 50cc'. The policy is silent on whether or not you need to wear a helmet to be covered. If you need to extend before your policy has ended because you are staying away longer, 1Cover offers policy extensions, where applicable, but you will need to pYay for this. You can apply to extend your policy by either getting in contact with 1Cover's call centre team, or alternatively you can log in to the Policy Manager. 1Cover states that extensions are not always available, but you will be made aware of this. Be aware, once a policy lapses, 1Cover are unable to extend it. A bus line, airline, shipping line or rail authority you are travelling on, or that has accepted your fare or luggage and personal effects, is delayed. The delay is due to a reason for which you can claim under your policy (subject to 1Cover approval) per 1Cover's policy document. 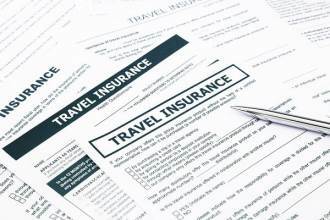 Does 1Cover Travel Insurance cover rental vehicle excess? Yes - the Comprehensive policy covers you for the insurance excess you are required to pay, as a result of loss or damage to a rental vehicle you have hired, up to $5,000. You can also pay extra to increase the cover up to $8,000, although in most cases $5,000 should be sufficient. Usually, you will need to put a hold on your credit card. If you have an incident, your credit card will be charged the car rental's excess fee. You will then need to claim this fee from 1Cover when you get back to New Zealand. Where is 1Cover Travel Insurance based? 1Cover Travel Insurance's head office is in Auckland. 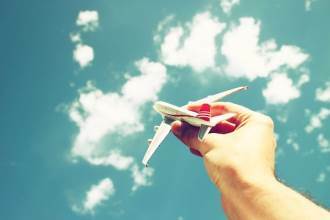 What is the best way to buy an 1Cover Travel Insurance policy? Online, or by phone (operating 7 days a week - 0800 000 333).